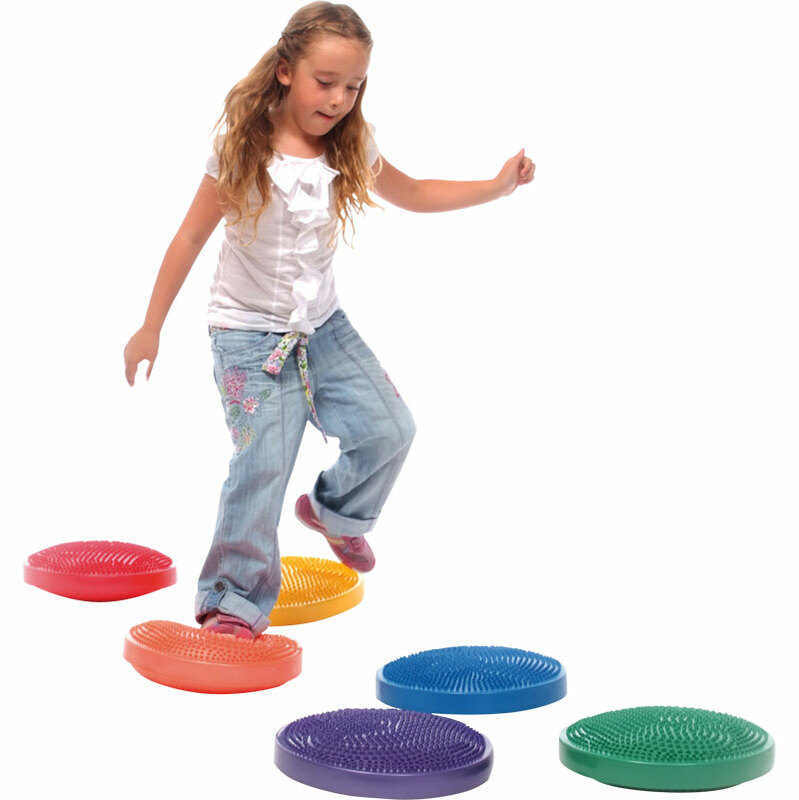 PLAYM8 ® Air Cushions create an instability that is challenging and fun, testing balance and co-ordination skills. More air makes the disc easier as it becomes more stable. The discs can be turned upside down and used as a cushion. 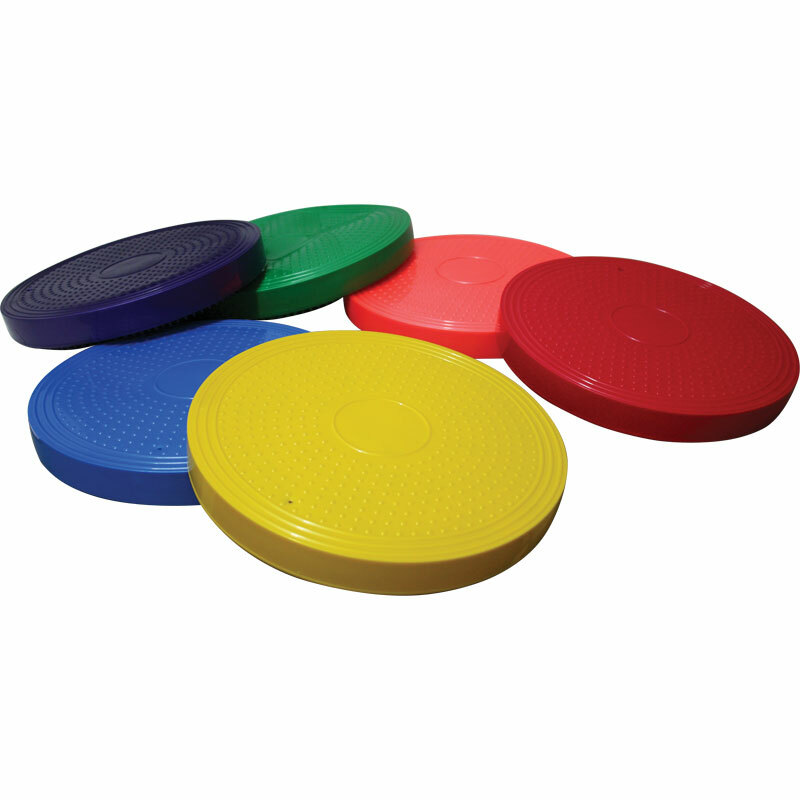 Colourful inflatable discs that offer a wide variety of balance activities. Sold per pack of 6 - one of each colour - red, yellow, blue, green, purple and orange.